Welcome to Excel Physical Therapy's patient resource about Physical Therapy for the foot. 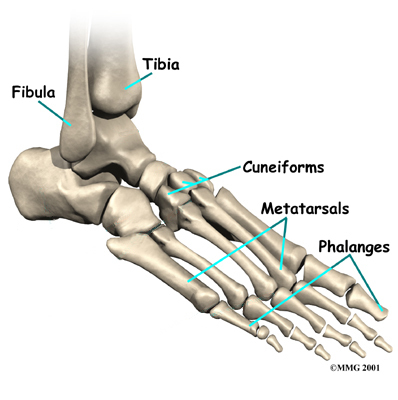 The foot can be the home of many problems, all of them uncomfortable and tough to deal with. We can help you deal and recover from stress fractures, pulled muscles, torn ligaments and warts. . . . well, not the warts, we don't do warts. . . . however, we will be there for you when it comes to the other problems! It is time for you to wake up and jump out of bed, landing with both feet firmly and comfortably on the ground. Don't suffer another day with a foot problem that can be remedied through the information that we provide in this section of our site or through the assistance that our company can provide to you! You deserve to be able to place one foot firmly in front of the other as you confidently walk from our office and we are looking forward to helping you! Copyright (2011) Excel Physical Therapy & Wellness. All rights reserved.